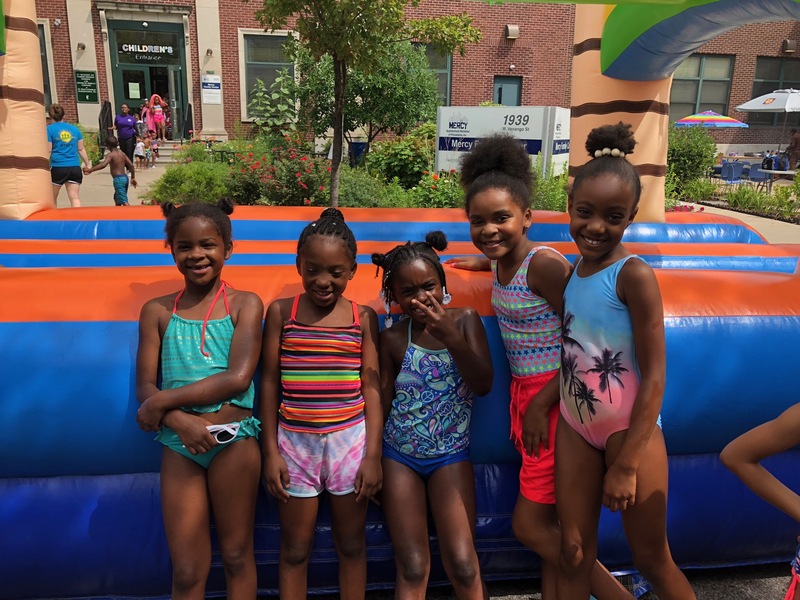 On Friday, August 17th, Summer Camp came to a close with our annual Block Party! Celebrations such as this are a Philadelphia tradition and one that our children and neighbors look forward to each year. 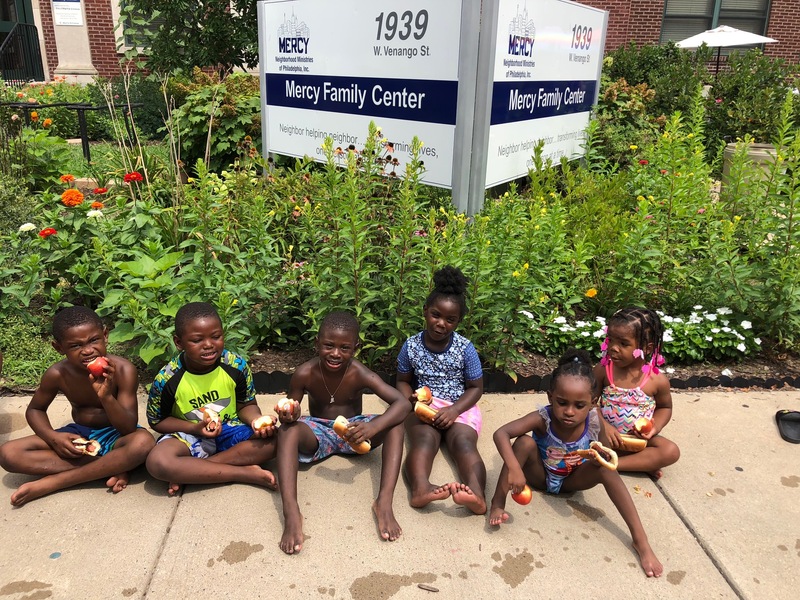 Nearly 300 friends of Mercy join us each year to celebrate the summer, enjoy lunch, and cool off (if they’re willing to brave the water slides). Thank you to our wonderful staff who work with our children and seniors daily – ensuring their safety while keeping things fun throughout the summer. Thanks to Mr. Owen for manning the grill and our friends at Jack Francis Catering for providing the food and ice cream treats.